Sea kayaking trip to Dalkey Island. 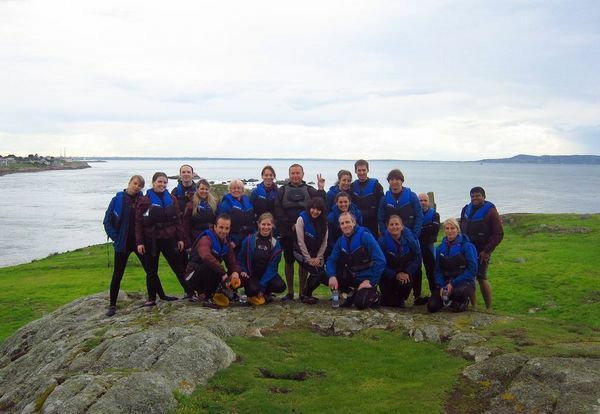 Come and join us for a fun Kayaking trip to Dalkey Island from Killiney Beach. We Kayak along the coastline from Killiney beach towards the Sorrento Terrace. From there we cross Dalkey Sound,a strip of water between Dalkey and the Island. We usually see plenty of cormerants, sea gulls and other sea birds on the island, but probably the most famous wild life we will see is a herd of wild goats that have lived on the island for over 100 years. These along with plenty of rabbits and hopefully some seals offer opportunities for some unusual photos. We do take some photos during the trip which we will upload to the webpage after the trip. This kayaking session is suitable for the beginners, but all of you have to be 18 years of age and over and must know how to swim. 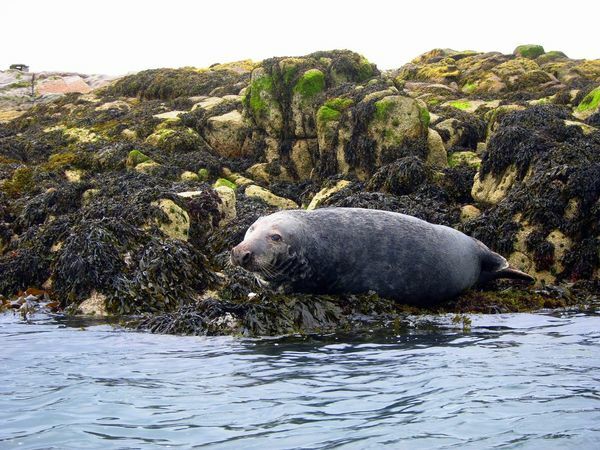 Dalkey Island has an incredibly chequered history for a place that is so small. The church on the island is dedicated to Saint Begnet, it dates back to the eleventh century. The fireplace in it is from the time of the fort on the island and Martello tower. The original windows in the church are arranged in a very strange way and it’s thought that it relates to the keeping of a solar calendar. Behind the church is a curious stone, marked with a cross. It’s thought that this stone may have been a very ancient pagan stone that has been ‘Christianized’. It has evidence of having a carved circle on it but sadly it is now weathered so much that it is difficult to make out the shapes on it. The Vikings are supposed to have raided the Christian settlement on the island and the island was put to use as a storage point for slaves. The surrounding tides and currents are extremely dangerous and anyone trying to swim the short distance to the shore of Dalkey would need to be a very strong swimmer indeed in order to make it there alive. On the south end of the island is a well preserved fort with three remaining canon battlements and a Martello tower erected to counter the threat of invasion from Napoleonic France. You will have to pay a deposit of 5 euros (non-refundable if you don’t show up and refundable in case we have to cancel kayaking trip due to bad weather). - For this kayaking trip to go ahead there must be at least group of 8 people. - If we have to cancel due to bad weather conditions I will let you know within 48 hours so keep an eye on www.time-off.ie all the time. - If trip was cancelled we will reschedule for next available trip or we will refind your deposit.